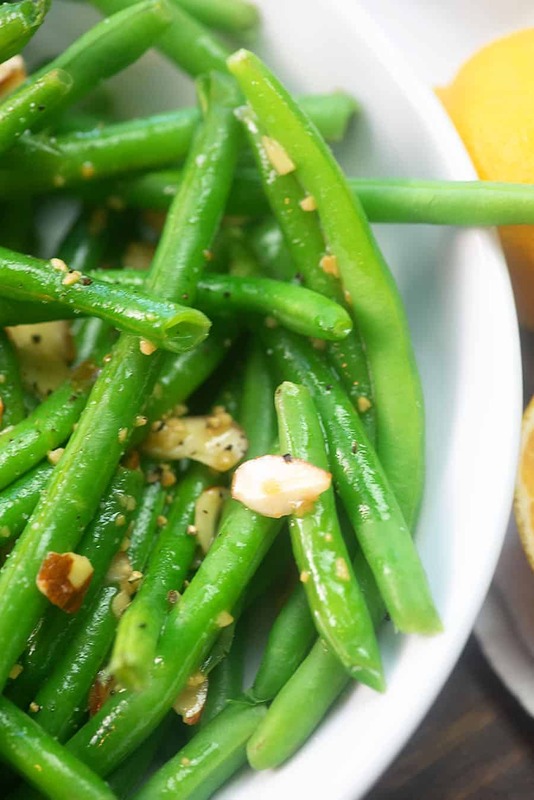 Green beans almondine make for an easy and flavorful side dish that’s naturally low carb. 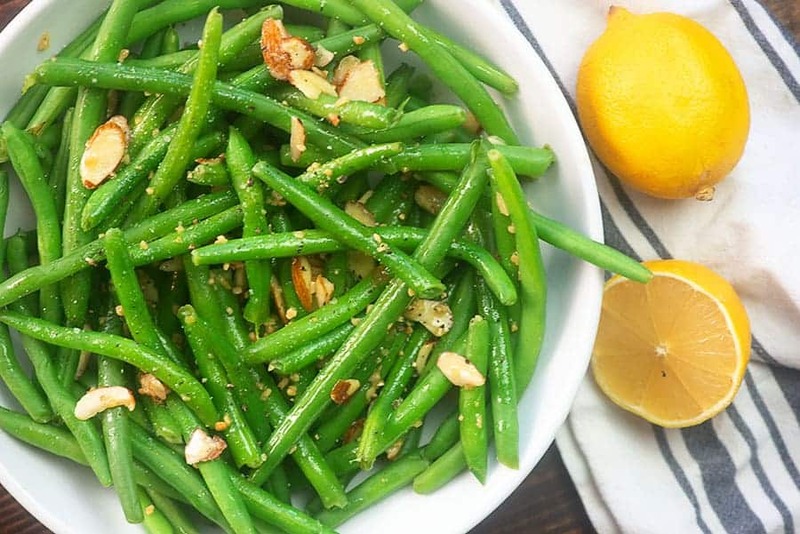 The bright flavors of lemon and garlic really make these green beans pop! We’ve been in a major side dish rut over here lately. I feel like I serve up steamed broccoli every night of the week and, while we all love broccoli, I think it’s time we give some new dishes a try. 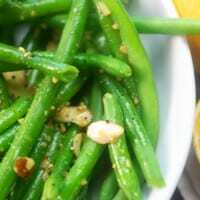 This green bean almondine recipe was an instant hit with my kids. They love the tangy lemon paired with the green beans! This really is easy to make, and bonus points: It looks, sounds, and tastes like it comes from a fancy restaurant. How’s that for a dinner win? To start, you’ll need a pound of fresh trimmed green beans. Pop those in a bit of water and bring to a boil. Cover and let cook for a few minutes until the beans are as tender as you’d like. We like to leave them just a bit crunchy, but cook however you’d like! Drain the green beans and place them in a serving dish. Return the pan to the heat and add in a pat of butter and let it melt. Stir in some minced garlic and sliced almonds and cook those for just a minute or two, until the garlic is nice and fragrant. Remove from the heat and squeeze in some fresh lemon juice. Pour that mixture right over your green beans and dig in! 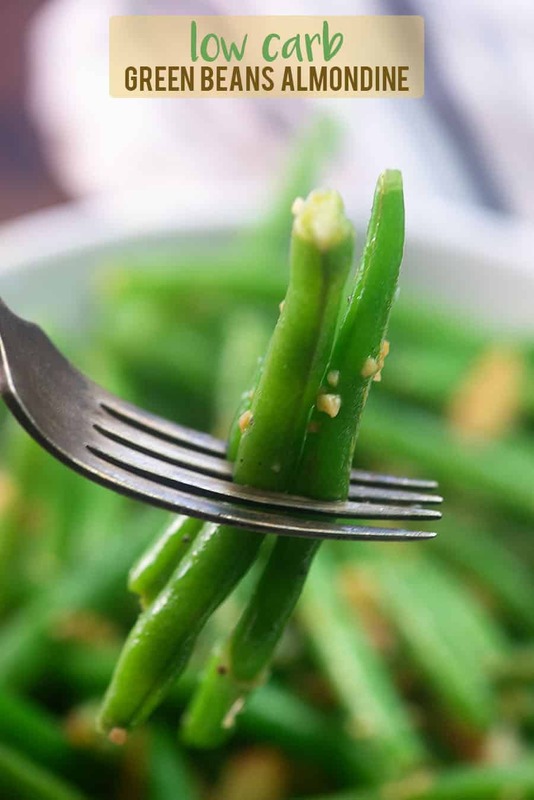 These green beans are so flavorful! It just means that the dish is served with a garnish of almonds! Fancy, right? ? It’s traditionally spelled ‘amandine,’ but here in America we say almondine. Can green beans almondine be made ahead of time? Yes! Go ahead and prepare the green beans until cooked to your liking and then store them in the fridge. 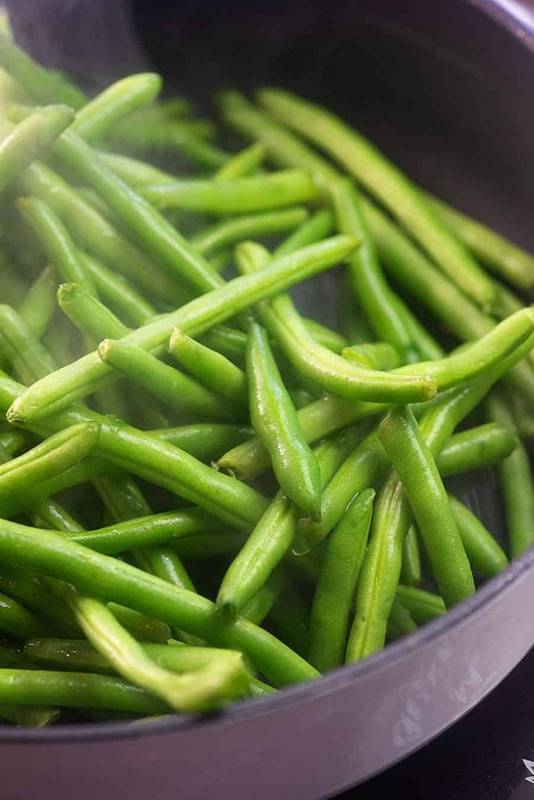 When you’re ready to eat, add 2 tablespoons of water to a skillet along with the green beans, and heat over medium heat with a lid on until the beans are hot. Remove the beans and finish off the recipe making the lemon garlic sauce. Easy peasy! Steak Bites: These little bits of steak are marinaded until nice and flavorful! Stuffed Chicken Breast: This recipe gets such good reviews! Baked Cod: This recipe makes it easy to add more fish to your diet! Bursting with lemon and garlic! Add the green beans to a deep skillet or sauce pan over medium heat. Add just enough water to almost cover the green beans. Bring to a boil and cook for 4-5 minutes, depending on how tender you like your green beans. Drain water and place green beans in serving dish. 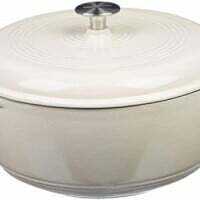 Return pan to the stove. 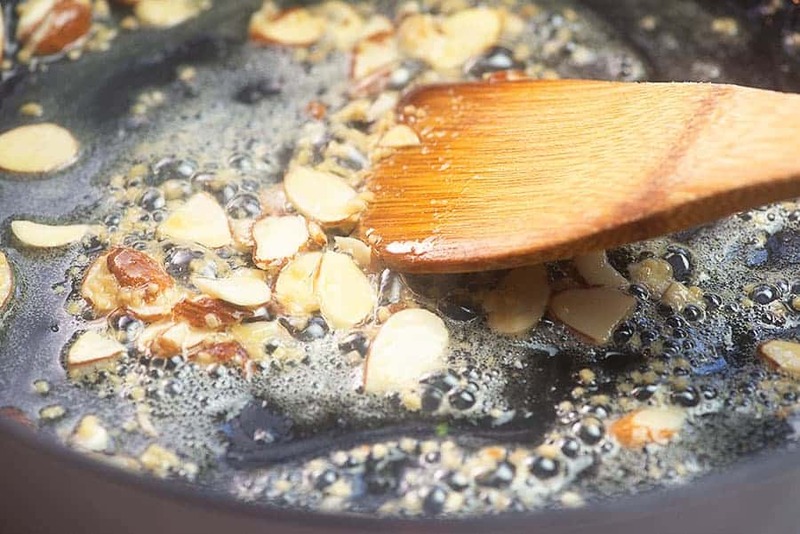 Stir in the garlic and almonds and cook for 1-2 minutes until fragrant. Turn off the heat and stir in the lemon juice. Pour the almond mixture over the green beans and season with salt and pepper. Toss to coat green beans.